« Fishing for smarties….the tragedy of the commons..
Monkeys and apes can help farmers through crop-raiding! Every one assumes that monkeys or apes coming in to farmers’ fields and taking crops is automatically a bad thing.. but my research in Indonesia has thrown up some interesting perspectives on crop raiding from local farmers and it looks like it’s happening in other parts of the world too. 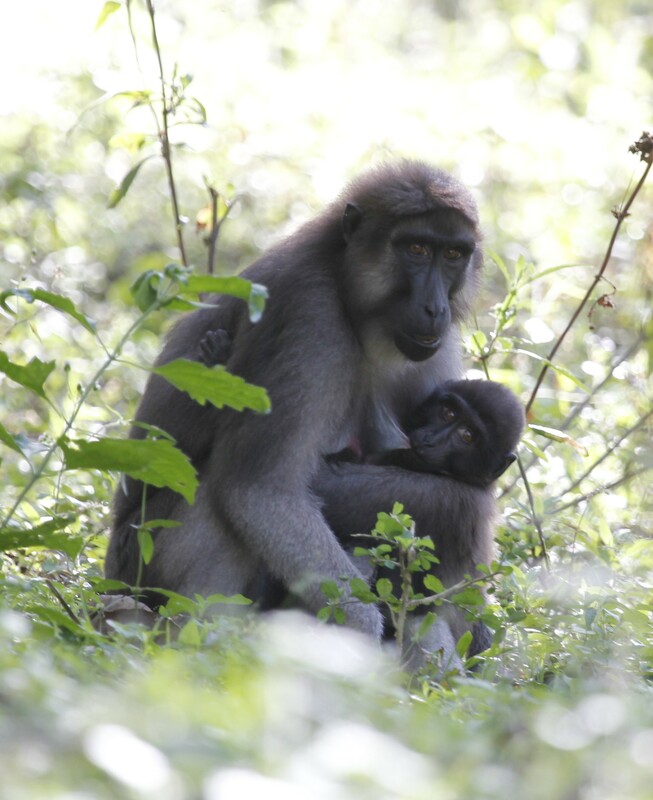 On the island of Buton farmers often tell me that they are happy when the monkeys raid their cashew crops – why? Because it means they don’t have to climb up the trees to harvest the nuts themselves. When the monkeys raid the trees they only take the fruit. The nut is held in a little capsule beneath the fruit so when the monkeys remove the fruit to eat it they discard the nut in it’s case. It then falls to the ground and can be collected by the farmers. All the farmers need to do is keep the area beneath the trees clear from too many shrubs and weeds and then they can simply scoop up the nuts, saving hours. The nuts are protected so are not damaged in the process. It’s a win-win situation! Monkeys get food, farmers get free labour! 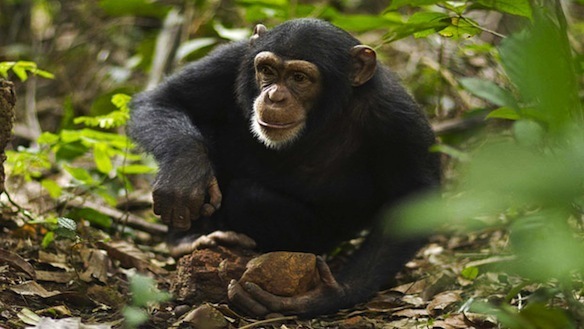 Some work over in Guinea-Bissau has shown a similar pattern with Chimps. In a similar way to the Buton macaque, the chimps only raid the fruit, leaving the nut for the farmers to harvest, in fact reportedly the chimps actually pile the nuts – which makes it even easier still! Just goes to show how humans and wildlife can co-exist in even the most unlikely of scenarios!